In the selection of portable fire extinguishers, not only the extinguishing capacity is important, but also the collateral damage that the chosen fire extinguisher entails. Even the most environmentally friendly foam extinguisher leaves something behind and CO2 is clean but has a very low extinguishing capacity. The new WMC water mist extinguisher from Saval combines the qualities of pure water: good extinguishing power and extremely low collateral damage. How does water mist work? Water mist is a fine mist of very small water droplets (10-100um). In the vicinity of the flames the water evaporates immediately, with the water vapor taking over 1600 times the original volume. This forces the oxygen out of the fire and stops the combustion reaction. Due to the small droplets the cooling capacity of water is optimally used and no re-ignition will take place. The fine mist is not harmful to humans, animals and vulnerable materials and is not conductive. This makes water mist extinguishers safe for extinguishing fires in electrical equipment. 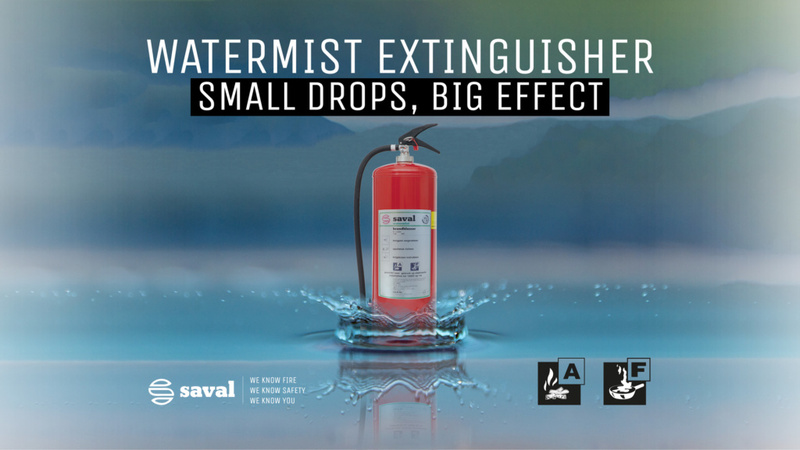 The Saval WMC water mist fire extinguisher is ideal for situations where the expected fire size is limited but where collateral damage must absolutely be avoided. Think of museums, archives, clean rooms, laboratories, healthcare institutions, technical areas, etc. Moreover, water mist is also suitable for extinguishing small frying fires (fire class F). 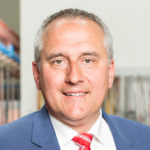 The Saval WMC watermist extinguishers have been awarded with the Dutch Eco-label and the European CE marking. For liquid fires, Saval recommends the Bioclass foam extinguisher with Eco-label. For more information, I refer you to the product page of the water mist extinguisher.